Menstrual Art: What It Is? Why It Is Important? Home » Magazine » Society » Menstrual Art: What It Is? Why It Is Important? Chella Quint	December 26, 2018 00:00 IST Menstrual Art: What It Is? Why It Is Important? The debates around menstrual art would be the same as the debates about any kind of art. At least, they would be if people talked about menstrual art. 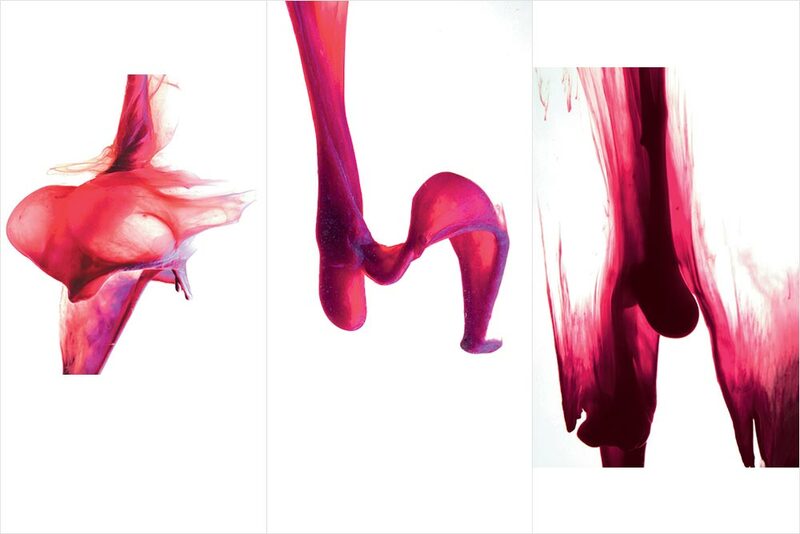 Menstrual art is simply art that takes its inspiration from menstruation. It’s a growing descriptor, but it certainly crosses genres and media and continents. It is widely accepted that US-based feminist artist Judy Chicago created what was probably the first modern, western artwork about menstruation in 1971. The photo litho, Red Flag, is a print in muted tones (save the red blood) of someone from the waist down removing her tampon. But not all menstrual art is so iconic, or static, or western, or old. There are paintings, installations films, zines, imm­ersive theatre—and much of the work is by artists working right now over the world outside the establishment, many of whom do not achieve fame or notoriety. Why are they doing it? To make money? To shock? To protest? To delight? Personally, I make menstrual art because I see the value in using joy and hum­our to challenge taboos and educate people of all ages. I discovered this almost by acc­ident, while making ano­ther discovery. Menstrual art may not regularly fetch millions at auction houses and galleries, but instead it plays a part in a billion-pound ­ind­ustry selling disposable menstrual products. Advertising uses composition, imagery, semiotics…we can definitely have an art app­reciation discussion about print advertising. Let’s glance at the old Modess sanitary napkin ads that frequently depicted a series of haute couture with no mention of periods or images of products. These ads appeared in Vogue and wanted to evoke the sense that their products could make menstruation disappear, and allow you to wear expensive clothing. It was an aspirational brand. I wouldn’t have so much fun deconstructing them in my comedy show ‘Adventures in Menstruating’, if they weren’t so entertainingly old fashioned, but there’s a serious message of taboo here too. The ad cleverly explains each time that the product comes pre-wrapped before it reaches the shop so you don’t need a carrier bag, and you can just ask for it by brand name, rather than mentioning the product. The campaign even goes one step further for one of its ser­ies—the box wrapping looks so enticingly patterned in midcentury designs that it seems well worth a purchase. The fact that they (and the other major brands) were asking consumers to hide the products that used to hide their periods was shocking to me, and I wanted to subvert these messages by performing them. I began to challenge these original efforts and drew direct comparisons between old and new, through parody, performance and stand up. I began sharing these with audiences in 2005 and, after people res­ponded positively, I dev­eloped it into an entirely interactive show. I began to incorporate humorous practical act­ivities into lessons for young people and training workshops for teachers and other adults. So, the purpose of my art and act­ivism has become to educate. Having started my show in 2005 as a zine-reading and sketch comedy event, it has been an exciting and stimulating experience to have colleagues in an emerging genre of comedy and contributing to a growing body of practice-based work exploring what it means to menstruate. You may never have heard of menstrual art, or you may think it’s incredibly rare. But, just under the radar, there’s a growing network of menstrual artists. As someone whose work has crossed into the public eye from DIY, I want to share some of my fellow artists’ work and rationale with you as well. At the time Judy made that comment on her work in Sweden, menstrual activism had been channelled into real change in the country. Before cartoonist Liv Stromquist was talking periods on the radio and decorating public gallery spaces with bleeding women, Josefin Persdotter, activist and co-founder of Mensen, a menstrual NGO, was quietly and determinedly making tampon earrings. As part of my zine series in 2009, I decided to create a piece to reclaim my blood leakage fear, and the work was eventually exhibited in Science Gallery Dublin in a spoof ‘fashion week’ style installation. I created STAINS™, a removable stain to wear on your clothing as you see fit. High Fashion! Clot couture! How about… leak chic? Here I use the language of advertising to finally answer back to the adverts of the past, telling generations before me to hide my period and fear leaking. Supporters of this ongoing interactive installation are encouraged to take their fashions to the streets, form ‘flashblobs’, take selfies, and upload them using #periodpositive. Soon, period-themed jewellery and fashion began to app­ear in student art shows in the US and Europe. But only a few years later, adhesive pads gained traction as street art themselves in Germany, India and Pakistan. The street artist was in print and the students were pasting messages in the street. It started to signal a new frontier in menstrual art. Activism was truly the purpose for most people now. And the activism started to make way for education. One of my favourite educational projects linked to menstruation that deserves more attention is this wonderfully crafted film by Marsa Sexual Health Centre in Beirut, Lebanon. In the film, Leila the Spy, common tween movie tropes are perfectly pastiched by the eponymous main character, who creeps through her neighbourhood trying to work out the big ­secret. And unlike other clever short films of recent years of a similar tone, this one is not selling anything. The performing arts bring joy to education. I learned this with my own classes when I made up a dance to teach about reusable and disposable menstrual products, to show pupils how many opt­ions they had. I call it The Menstrual Product Mambo. Like India’s ‘Pad Man’, there are folks out there who want to provide practical solutions to the problems presented by corporate control of the menstrual discourse. I was able to speak to a few. Laura Niehorster, creator of Proud Pads in Wales threw in a bit of engineering by creating a magnetic closure to her designer cloth pads. “We’re called Proud Pads bec­ause we’re all about eliminating the taboo using positive language,” says Laura. Bec Torrens, a reusable pad maker from Midlands, UK, frequently designs novelty pads as prizes and to showcase the fun you can have with menstruation management. You may bleed red, but you can bleed on a rainbow, happy uterus or a football pitch! “I feel that if you’re needing to use a pad, then why not have one that is uniquely yours—something luxurious and beautiful that makes you smile,” says Bec. The past few years have seen more discussion of menstruation in media than ever bef­ore, led by an increasing groundswell of public awareness and desire to openly add­ress menstrual taboos. If you were feeling shy before, or if you’re feeling inspired now, why not give it a go? And you don’t need to use real blood if you don’t want to. I use fuzzy felt. STAINS™ has brand identity guidelines and uses the same pattern each time—it’s even trademarked as part of the joke—although it’s bec­ome all too real. My goal is to ensure that the stain is more recognisable and desirable than mainstream fashion logos, enough to convince teens to create their own ad campaigns and share them in class. In fact, you can cut out your own or create an iron-on at the STAINS™ website. In 2015, in response to US President Donald Trump saying debate moderator and newsreader Megyn Kelly was bleeding out of her “wherever” to imply she was giving him a hard time because she was on her period, artist Sarah Levy painted a portrait of him using her menstrual blood (see ‘Bloody Trump’). She sold the prints and gave the proceeds to charities that helped immigrants and workers—the people most disenfranchised by Trump’s policies. I had the privilege of participating in the Menstruation Matters conference in Boston in 2015 with the Society for Menstrual Cycle Research, and got to see artist Jen Lewis’s incredible Beauty In Blood. The photos were mesmerising. I didn’t feel any of the disgust or revulsion I imagined others could expect.